Having recently unveiled the Bon Iver-featuring single "Tiff," Minneapolis-based Gayngs spinoff Poliça have shared some details behind their new album. 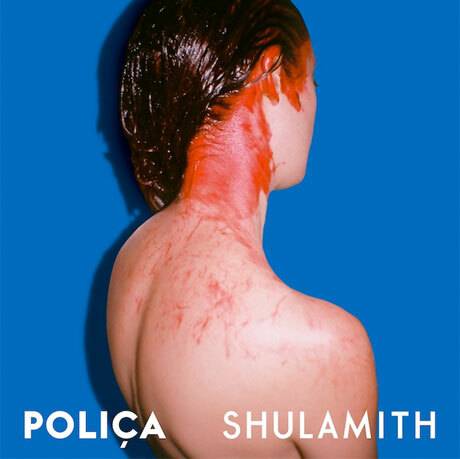 Shulamith is out this fall through Mom + Pop. That's the rather bloody album cover above, but the newly unveiled video for the R&B-flavoured "Tiff" is just as gruesome as the artwork, as we see singer Channy Leaneagh involved in a gory torture scene that ultimately appears to be self-inflicted. The description on YouTube reads, "A portrait of a woman as her own worst enemy." The tracklist is below along with the band's tour schedule, which includes shows in the U.S. and in Europe but currently none in Canada. The album's exact release date is currently unconfirmed. This is the follow-up to last year's Give You the Ghost.